In September, I traveled to Paraguay to interview clients of HOPE’s newest microfinance partner, Diaconía. Sitting outside of a community center in Cevallos Cuesta, Paraguay, I heard the hum of chatting and laughter inside. 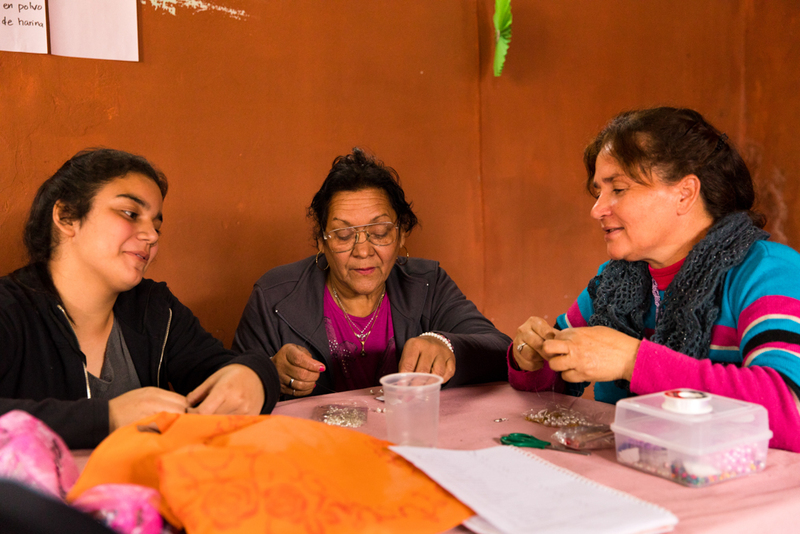 Working on colorful clothing and accessories, over 40 women were attending a vocational course—part of Diaconía’s holistic model of development. Across from me, Ladis showed off a creamy-white sweater and intricately-designed sandals. Both humble and enthusiastic, her eyes shone as she described how she made each item. 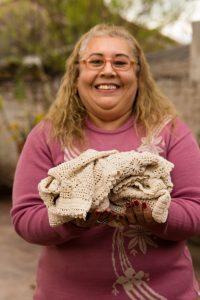 A dedicated student, today Ladis sells her handiwork locally and beyond Paraguay’s borders. But making and selling products is more than just a new hobby for Ladis—it’s provided needed financial stability. Three years ago, when a trusted friend did not repay a large debt, Ladis and her husband had to shutter their long-time business. It was a time of deep discouragement—of struggling to pay debts, of disunity in their marriage, of starting over from scratch. Ladis was not a follower of Jesus, having always brushed off her mother’s invitations to read the Bible or attend church: She faced these challenges alone. As her husband retired, Ladis took out her first loan from Diaconía—$50—to jumpstart a business selling homemade lunches to office workers. Today, the income from her lunch delivery business, new rental properties she’s built, and her handicrafts provide more than enough for her and her husband. The Christ-centered vocational courses recently sparked something else in Ladis, too—an unexpected interest in the Word of God. She confided, “Something very strange started to happen in my life. … Every instant I felt like God was speaking to me.” Sensing a prompting to pray, Ladis began talking to God daily. She’s now chosen to follow Jesus, and she’s found a church home—the same church she’d always refused to attend with her mom. Ladis is more united with her husband, and I told her I’d be praying that he’d visit the church with her soon. We all need to discover our God-given talents. The Bible opens with a familiar, yet amazing story. (I’d encourage you to reread Genesis 1 and 2 if it’s been a while!) As the plan of creation unfolds, we see a God of incredible detail, creativity, and love. Then we see that He created us to reflect this beautiful image, to also create and seek flourishing for ourselves and others. When Ladis discovered her passions, she gained a new vision of her Creator—and herself. I pray that our God-given talents and responsibilities—yes, even our daily work—would likewise point us back to Him and our incredible worth and value. At HOPE International, we’re eager to join God’s work of restoring dreams. That’s why we invest in the dreams of families in the world’s underserved communities. And for a limited time, your gift goes further. A generous family will donate additional funds for each new monthly giving commitment made by December 1, 2018 (up to 100,000). Learn more here. 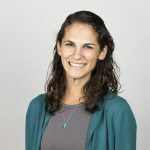 Annie Rose serves on the writing team as an advancement advisor. Prior to her current role, she was the HOPE Trips liaison in the Dominican Republic, where she and her husband Hamilton lived for three years. Annie Rose studied business and Spanish at UNC Chapel Hill (go Tarheels!). In her free time, she loves running and pretending to be a chef.